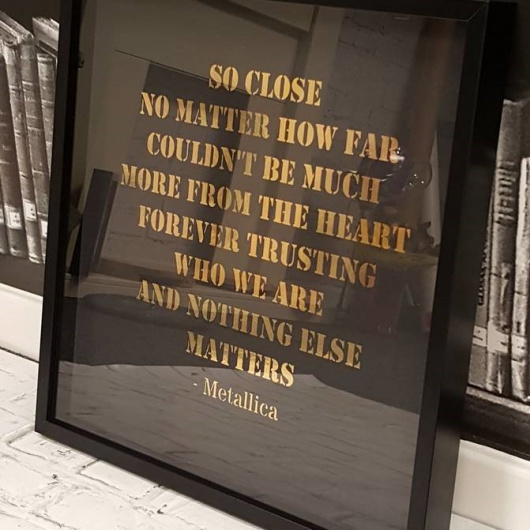 This large retro looking framed lytic print is a gorgeous and unusual way to remember an important song or phrase. 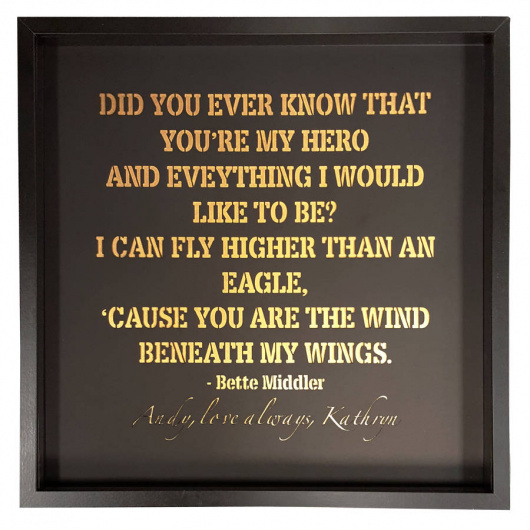 This beautiful hand crafted paper cut is the perfect way to show someone you love them. 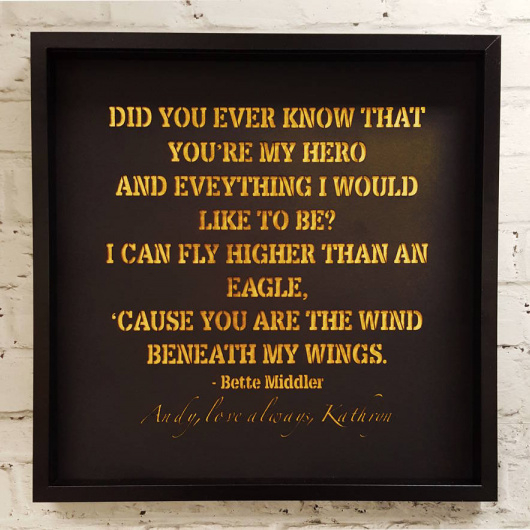 Each lyric papercut is made designed and delicately handmade. This is perfect for Valentine's Day for letting your loved one know how you feel. You can let them know you love them by choosing special personal lyircs or choosing some lyrics from a love song or even just asking us to make a papercut with your own phrase. Each lyric papercut will be personally designed for you and you can add a message at the bottom. This can be made with whatever lyric or phrase you would like. Please just add the lyrics you would like in the personlisation box on ordering. Please note - we don't want to sound harsh but your lyric or phrase will be reproduced exactly as you have entered it on each link in the boxes provided, so please double check spelling, punctuation and capitalisation. We will not add punctuation or amend incorrect punctuation. We will print exactly what you add into the box so please ensure it is correct. We cannot refund or replace your order if it is your error.